1. Zhangye Danxia Geopark in China - Also known as the Rainbow Mountains, it is one of the top 10 magical geographical wonders of the world. 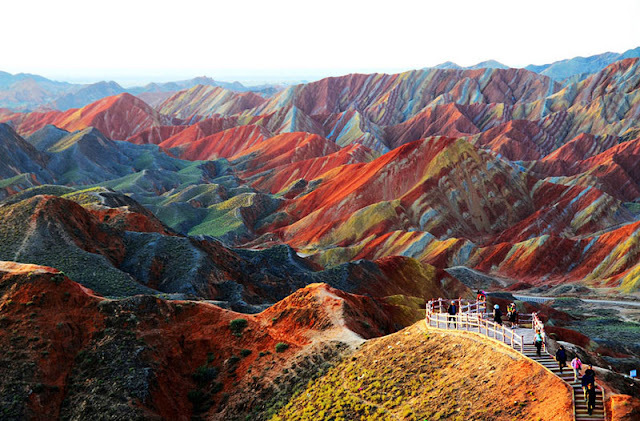 The colors are breathtaking and almost otherworldly, like a water color painting brought to life. 2. 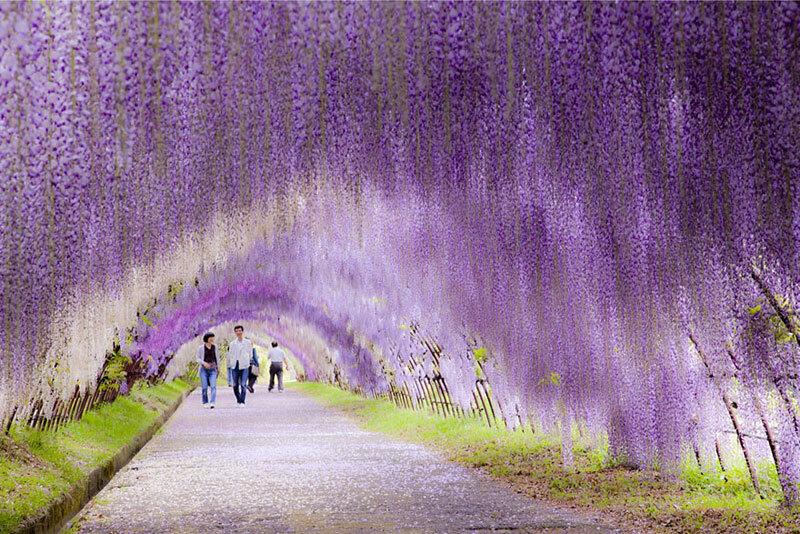 Wisteria Flower Tunnel in Japan - This amazing tunnel is about 6 hours from Tokyo. I would love to be able to get a family picture in this blooming tunnel. One thing to consider is that this trip has to be planned out during the right season. The ideal time to go is between late April and mid May. 3. 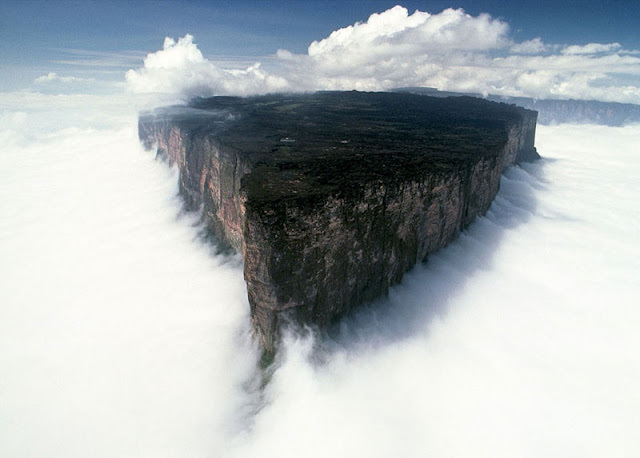 Mount Roraima in South America - This amazing area is the border point for Brazil, Venezuela, and Guyana. 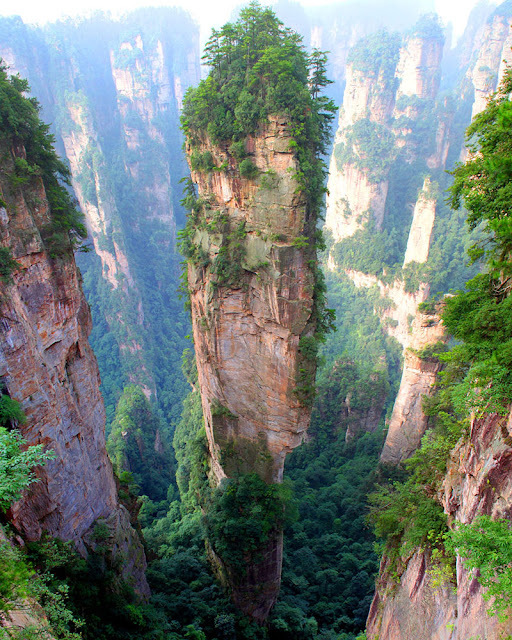 It rises 1,300 feet high. I would love just to fly close to the mountain, as you would have an amazing view of the cliffs themselves from a distance instead of from on top of them. If I was into rock climbing, maybe I would feel differently though! 4. The Tulip Fields in the Netherlands - Rows upon rows upon rows of gorgeous blooming color! Tulips are one of my favorite flowers because they are one of the first to bloom adding spots of color in the snow where I live. 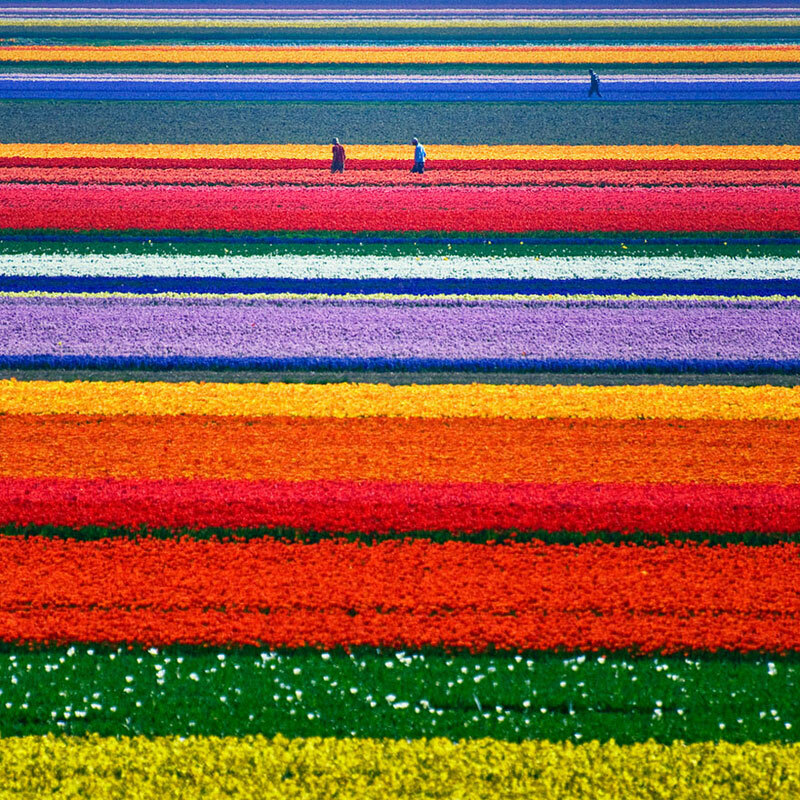 The best time to travel to Holland to see these glorious fields is between the end of March and the middle of May depending on the weather. 5. 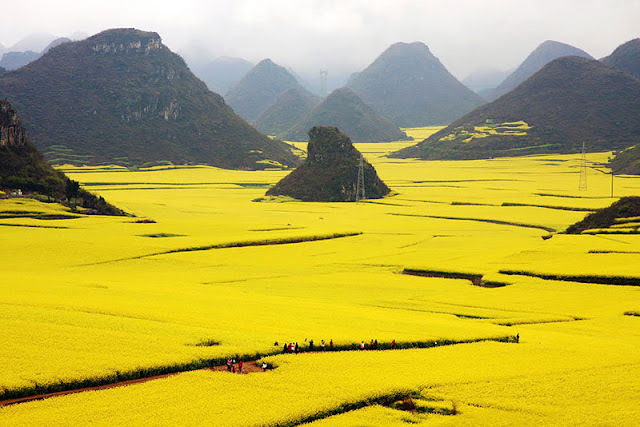 The Canola Flower Fields in China - These are farmlands that are blooming with golden yellow rapeseed flowers, also known as Canola flowers as far as the eye can see. The best time to see this magnificent sea of yellow flowers is in the spring from February to March! 6. Black Forrest of Germany - This ethereal sight happens when the daffodils are in bloom. 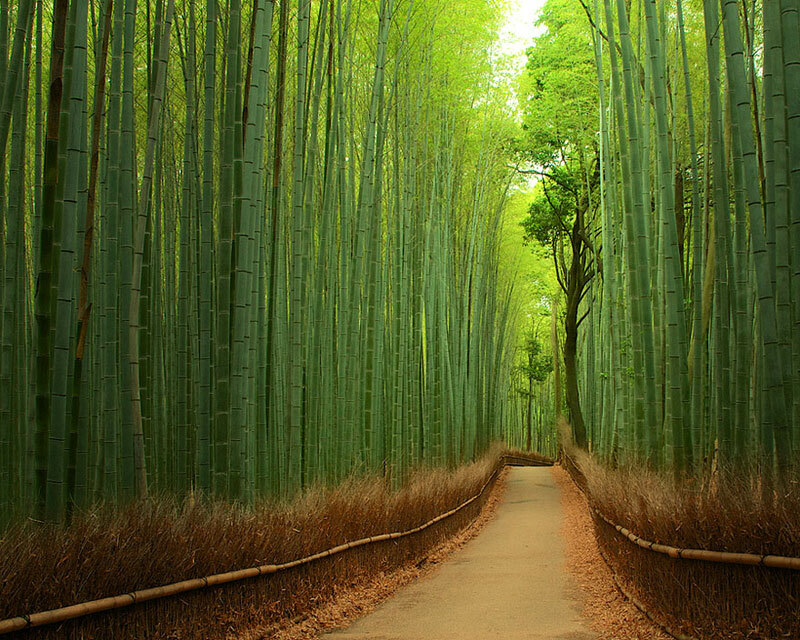 I can just imagine taking a walk here and letting your imagination run wild. 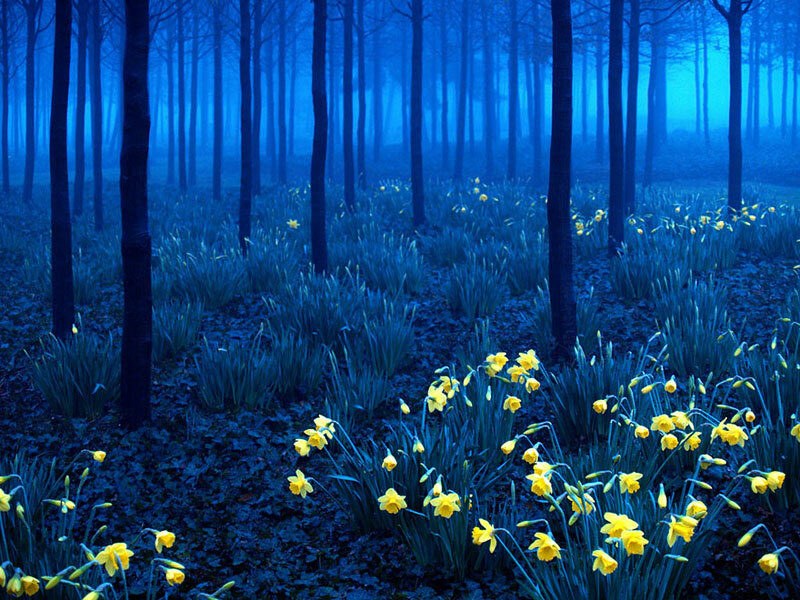 It's places like this that you can start believing in fairies and other mythical creatures. 7. 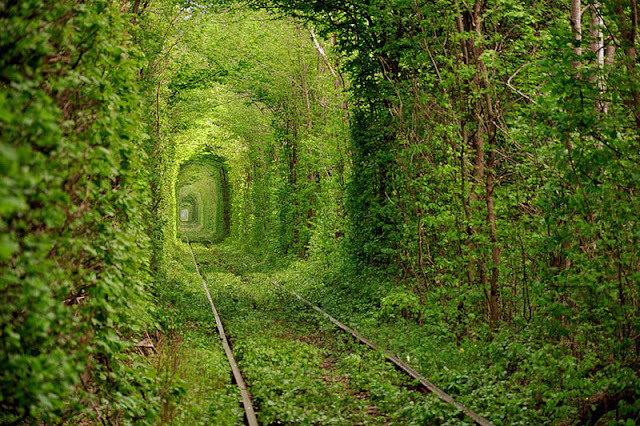 The Tunnel of Love in the Ukraine - This is another place I would love to see! It is a natural 1.8 mile long tunnel made of trees that is maintained by the train that passes through three times daily. It is called the Tunnel of Love because it is believed that couples who make a wish here will have that wish come true if their love is sincere. 8. 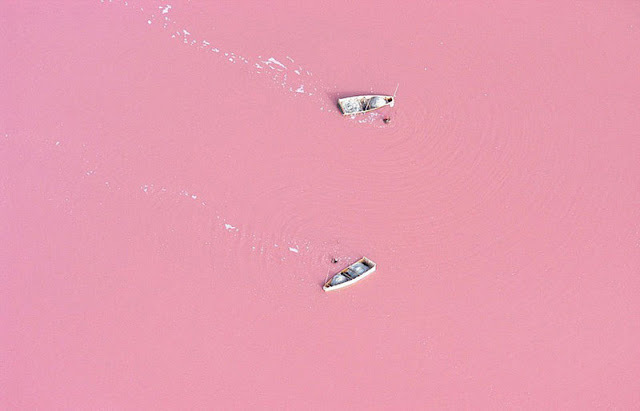 Lake Retba in Senegal - This lake is truly pink! 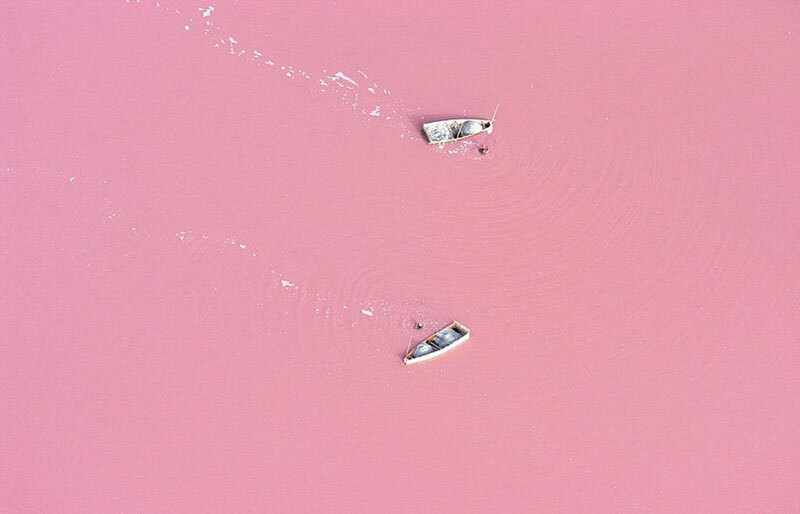 In fact Retba itself means "Pink Lake." The hue of the water is due to a specific type of algae that grows there! 9. Longjing Tea Fields in Hangzhou, China - The best time to visit is in the spring or summer when you feel like you can get lost in the beautiful green tea fields, sample the tea, and enjoy the scenery! 10. 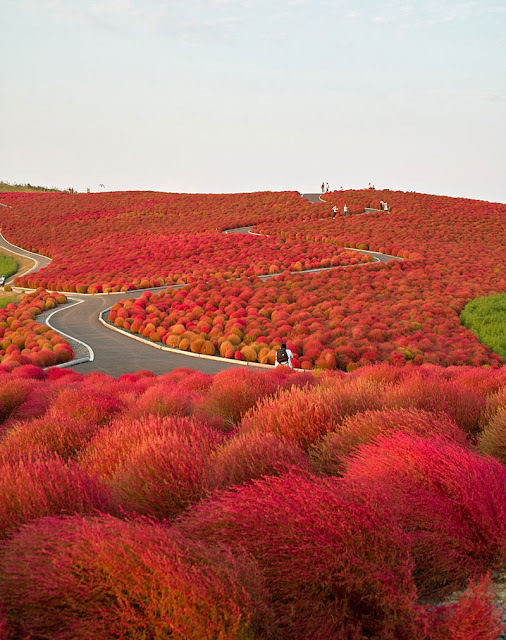 Hitachi Seaside Park in Hitachinaka, Japan - This is one place that would be fun to visit multiple times throughout the year because throughout the different seasons, different plants flower in the 190 acre park. The red is what the park looks like in Autumn, but if you visit in the Spring it would be a a sea of blue! 11. Tans Mountain Nature Reserve in China - This amazing sight is also a great destination no matter what time of year. Each season provides new and beautiful aspects to the narrow cliffs rising out of the ground which can be seen from a cable car that takes you to the top of the mountain! 12. 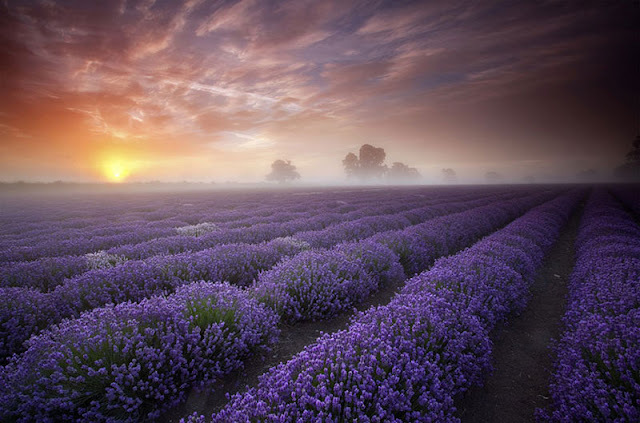 Lavender Fields in France - I've seen smaller lavender fields in Idaho, and although beautiful, there is something about seeing lavender fields as far as the eye can see that I can't miss! They bloom from June to August! 13. 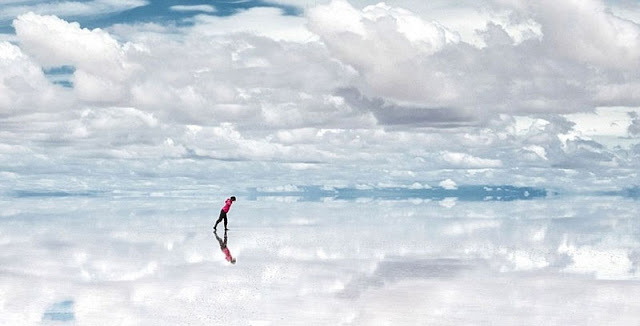 Solar de Uyuni in Bolivia - My husband might not be thrilled about this one because we live about 2 hours from some salt flats, but this is so much more beautiful than our local salt flats! It almost looks like you are walking on clouds or skating across clear ice! 14. Bamboo Forrest in Kyoto, China - This path directly through a bamboo forest would be a great hike to take for a day trip. 15. 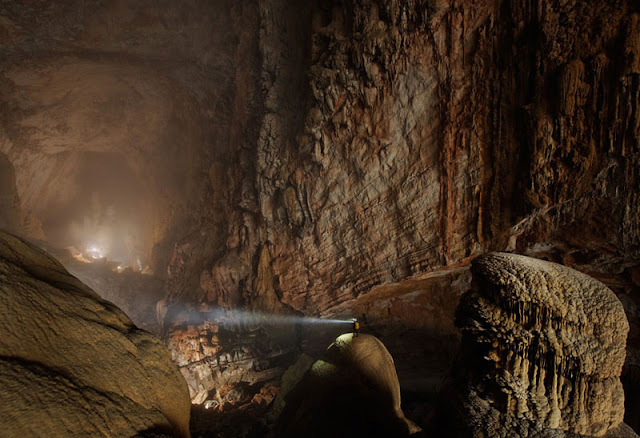 Son Doong Cave in Vietnam - This is the largest cave in the world. Son Doong means Mountain River Cave which was made by the river eroding away the limestone combined with parts of the ceiling caving in. 16. 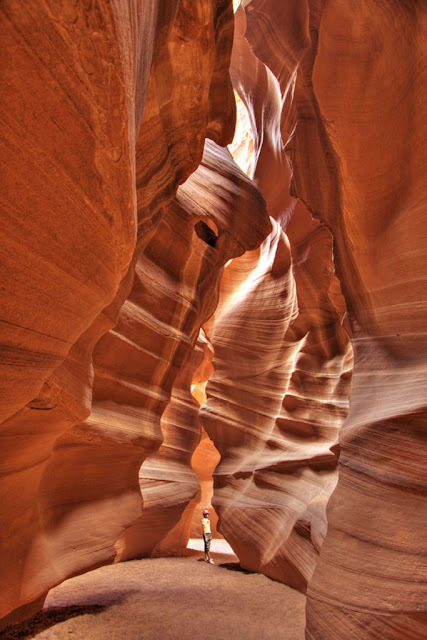 Antelope Canyon in Arizona - It's sad that I haven't been here since I was born and raised in this great state. It is near Page, Arizona (not far from the Grand Canyon,which I have seen) and joining a tour group is a necessity since only certain tour guides are allowed to take you to this canyon! 17. 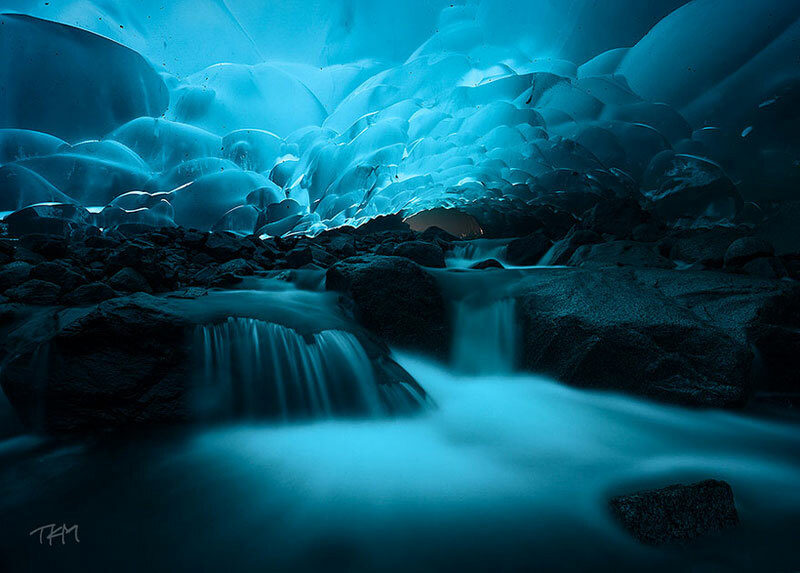 Mendenhall Ice Caves in Alaska - These ice caves are inside a 12 mile long glacier outside of Juneau. Unfortunately with global changes the glacier is in danger of melting away which makes it even more important that explorers see it before it is no longer available to be seen. However, to get there you have to kayak and then climb down the ice. 18. Lake Hillier in Australia - This is another Pink Lake! If you are going to see one, you might as well see another! 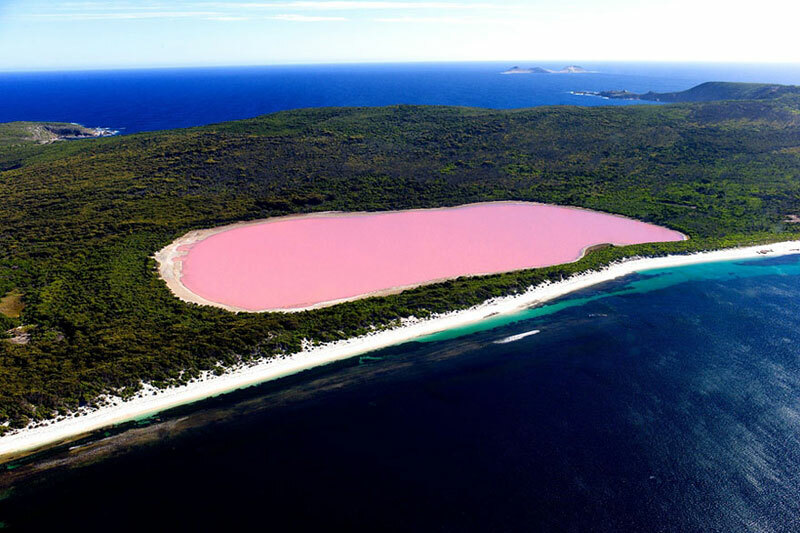 Like Lake Retba, Lake Hillier is pink due to the same algae in the water. 19. 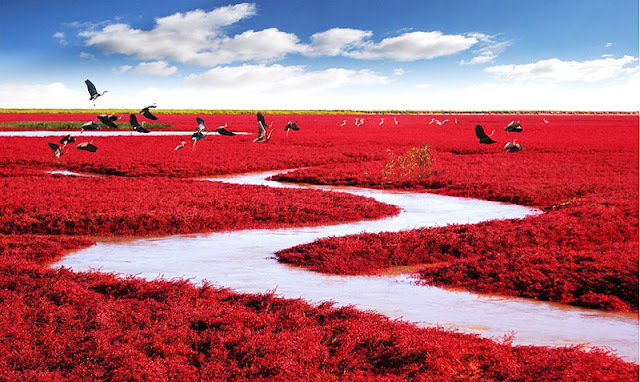 Red Beach in Panjin, China - Also known as "Home Of The Cranes", you can find several hundred species of birds and even more wild animals in this, the most complete ecosystem that can be found in the world. 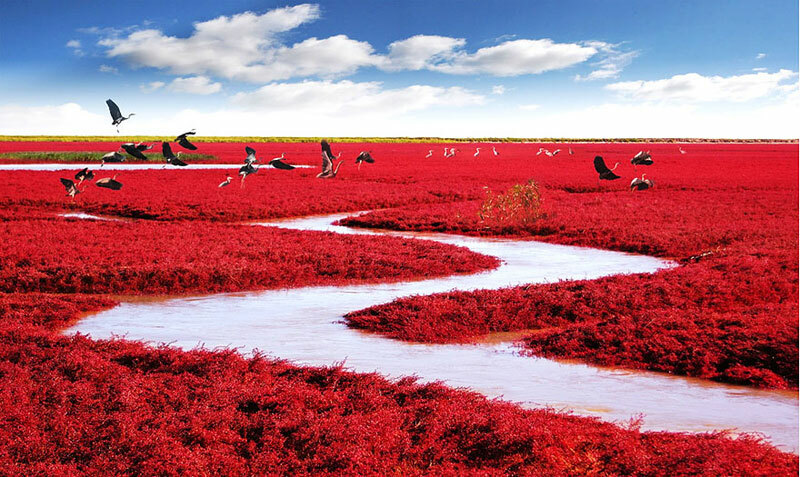 The red is due to a type of seaweed that turns a vivid red in the autumn. 20. 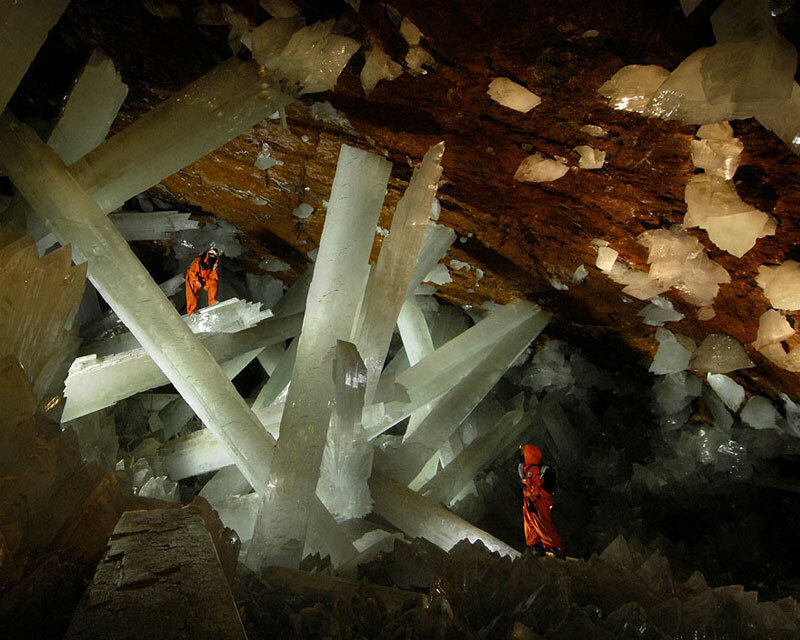 Naica Mine in Chihuahua, Mexico - This is a working lead, zinc, and silver mine that is best known for its selenite crystals that can be over 4 feet wide and 50 feet long! 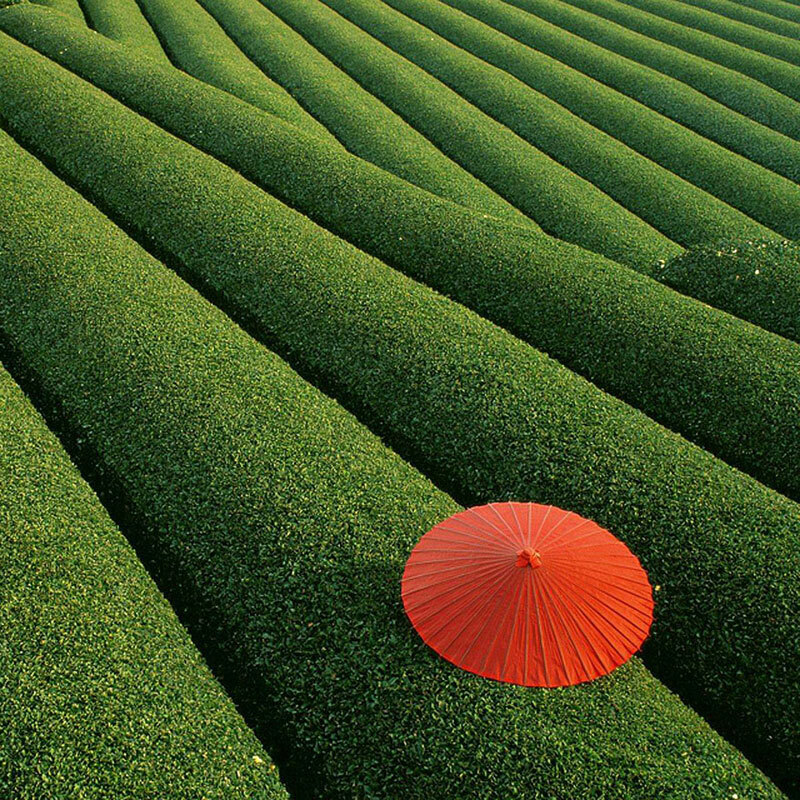 3 responses to "20 Beautiful Places Around The World To Add To Your Bucket List!"